This prestigious, aristocratic bloom is a signature only available at Rossi & Rovetti Flowers. 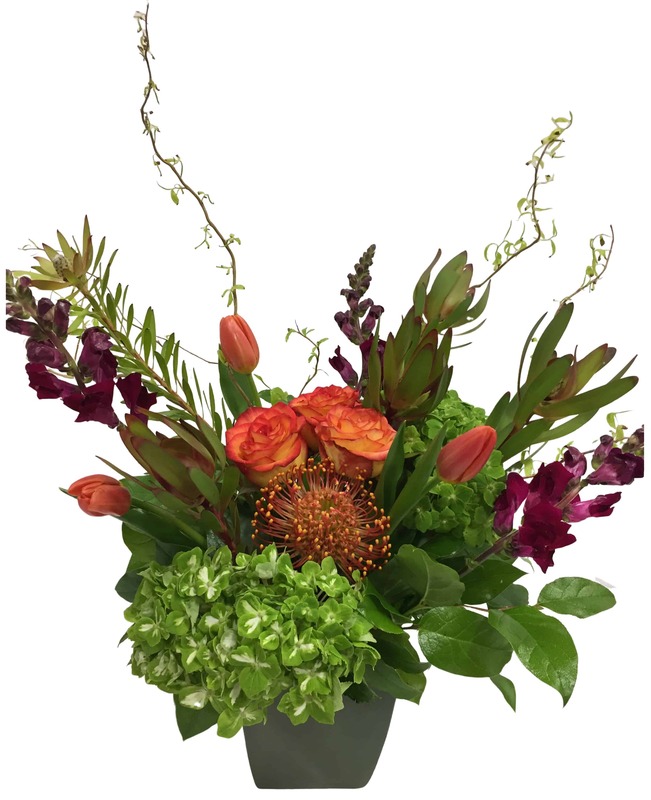 To impress or delight...enjoy this Cadillac-styled arrangement featuring the finest varieties of Yellow roses, Rainbow Hydrangea, Magenta Tulips, Protea, Stock, and Fresh Greens anywhere or for any occasion. Placed in a special vase artfully lined with a stylish ti leaf.